The missing link in every Don Caballero fan’s vinyl collection arrives this fall via Touch and Go Records with the release of Don Caballero’s Singles Breaking Up (Vol. 1). Previously available on CD only, Singles Breaking Up (Vol. 1) offers a wide range of the band’s history to appreciate plus a wealth of sundries for fans of Don Caballero who may not have had the opportunity to enjoy them in the 7’’ vinyl format of their initial release. Don Caballero hail from a hell of a place to father a child: Pittsburgh, Pennsylvania. Affectionately known as "the Don," the band make their musical bid without the din of vocals. The Don spawned in the summer of 1991 as drummer Damon, bassist Patrick, and guitarist Mike met and got the petri dish experiment started. The first record, For Respect, was all dense and menacing bricks of sound that built severe structures as cheerful as the Berlin Wall. That gave way to a second record, just as solid, yet girding melodies skyscraperly, de-emphasizing denseness in exchange for taking up a large area. "Math rock," a definition for which there is little to no agreement, became an easily recognizable concept and word. The members of Don Caballero sought to avoid those markers and released their third record What Burns Never Returns, where time signatures were harder and harder to follow and form was more confusing. After redefining their sound in these more protean terms, a hard rock thread still remained that bound all of the band's efforts up to that point. 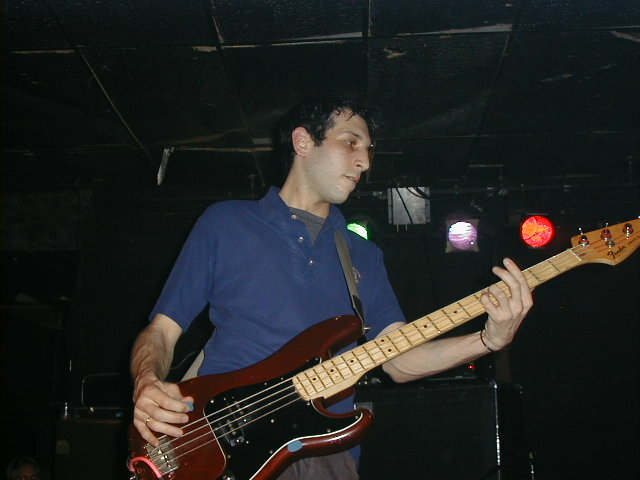 American Don marred their relationship to "heavy" as much as What Burns troubled the band's relationship to "math rock."